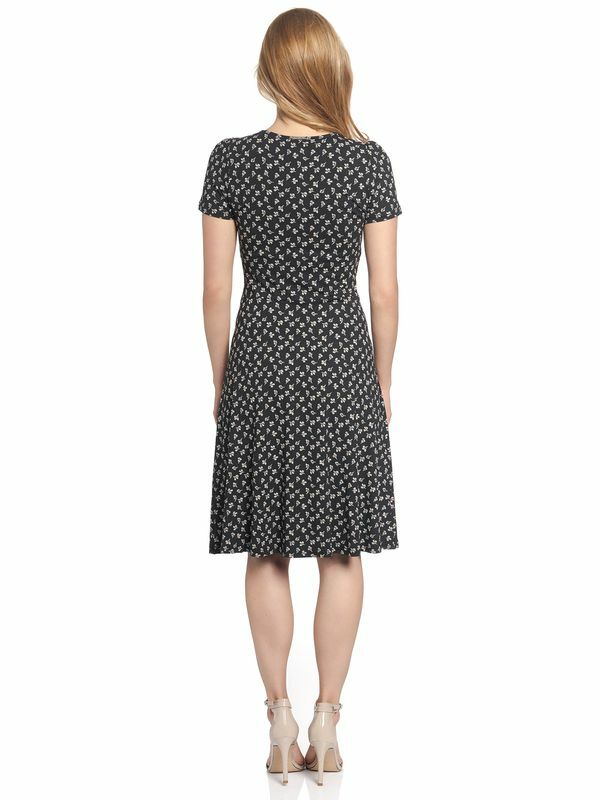 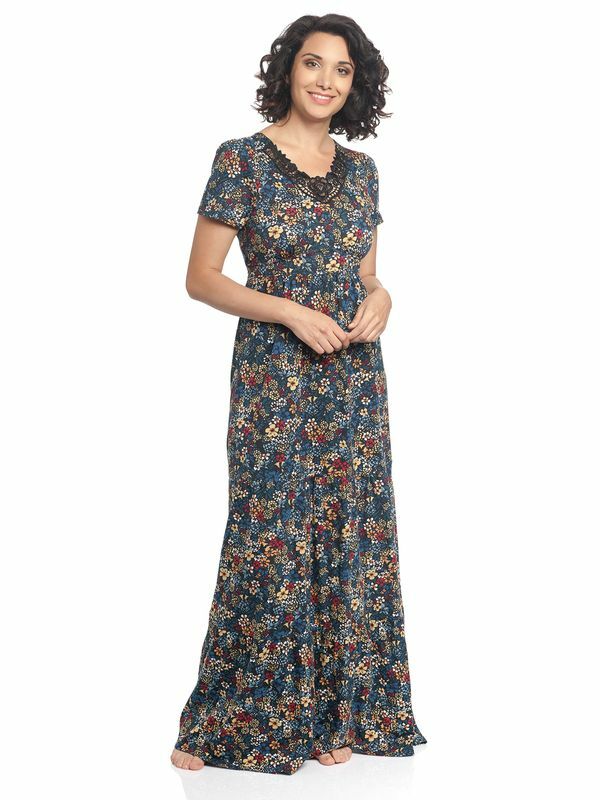 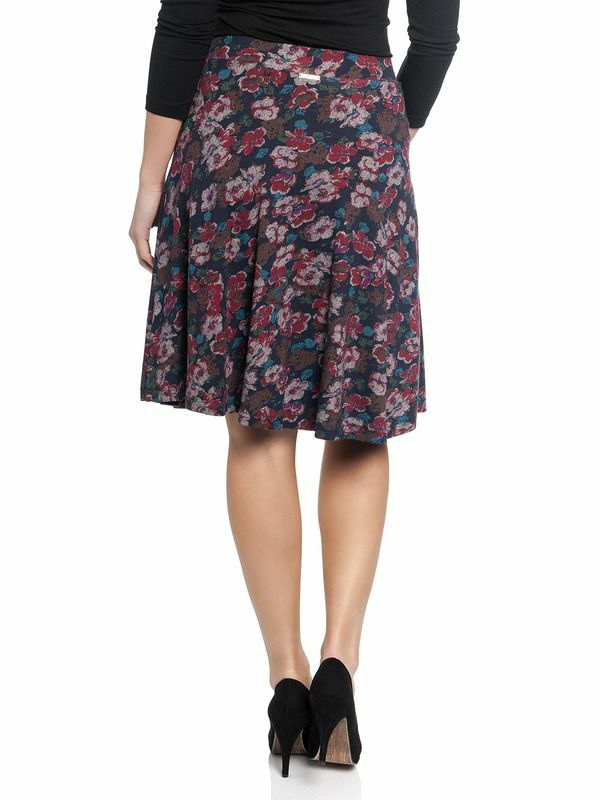 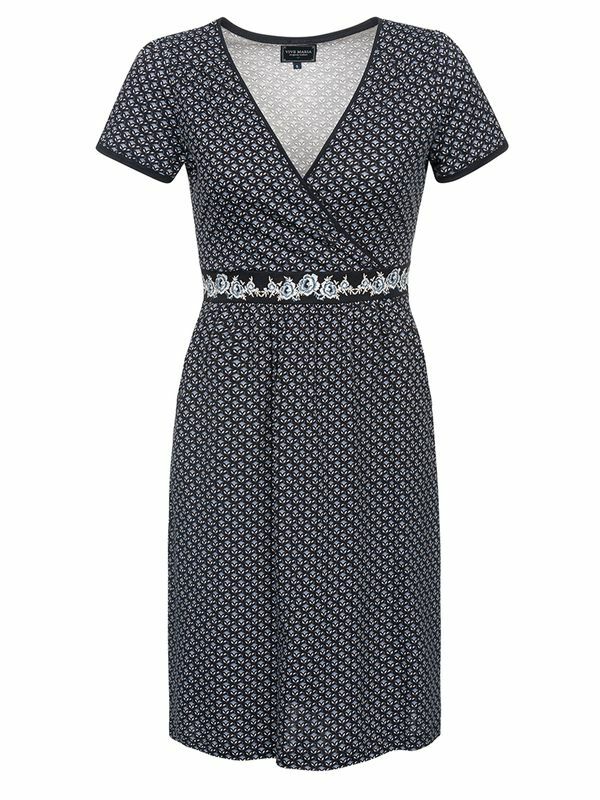 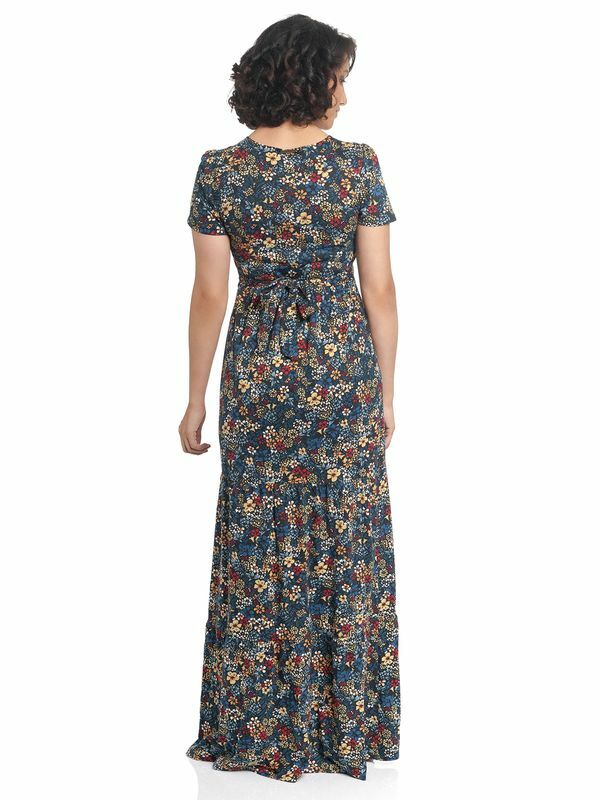 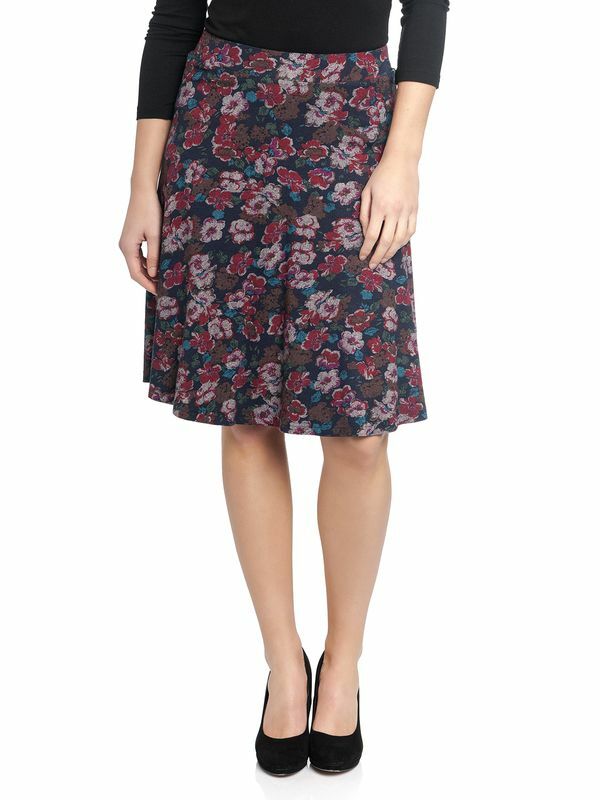 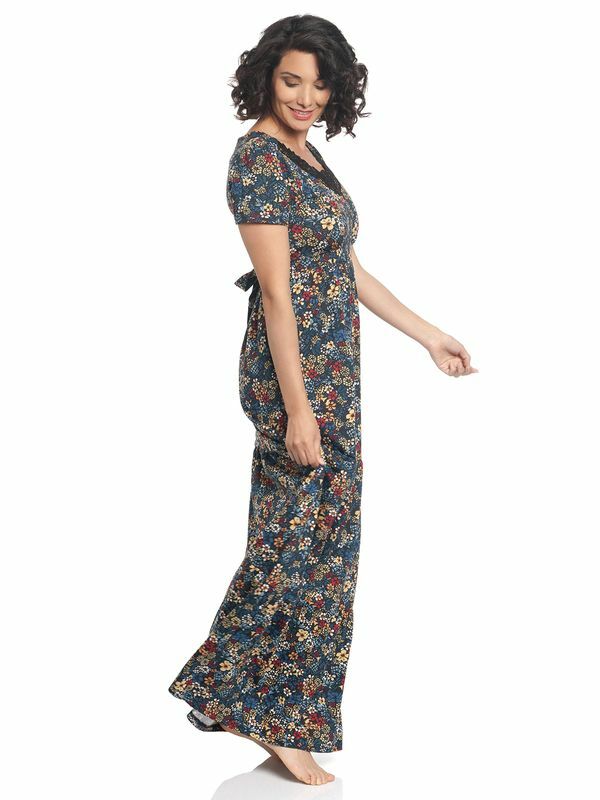 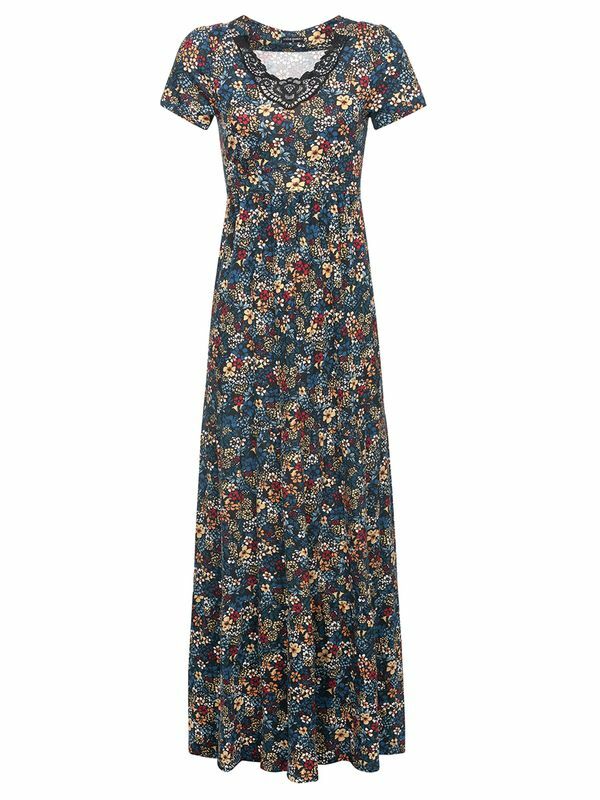 This beautiful spring dress is made of a soft viscose-elastane-material. 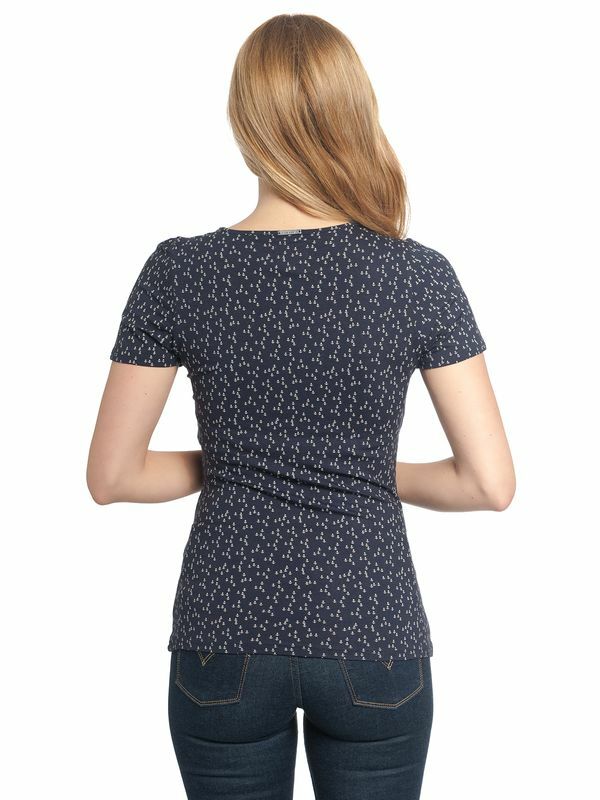 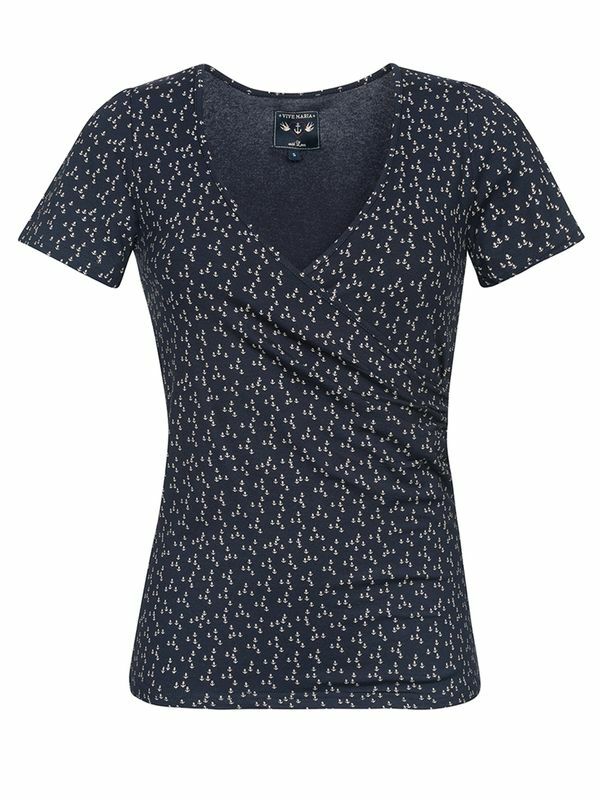 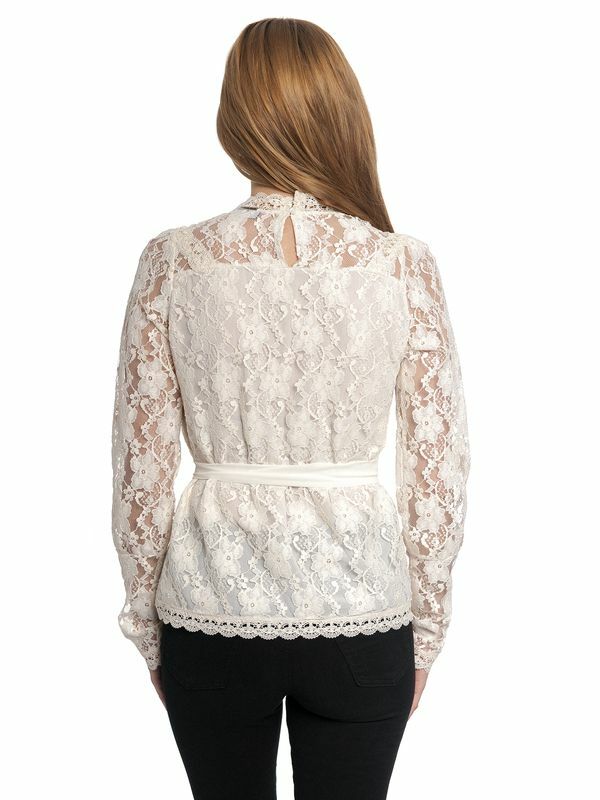 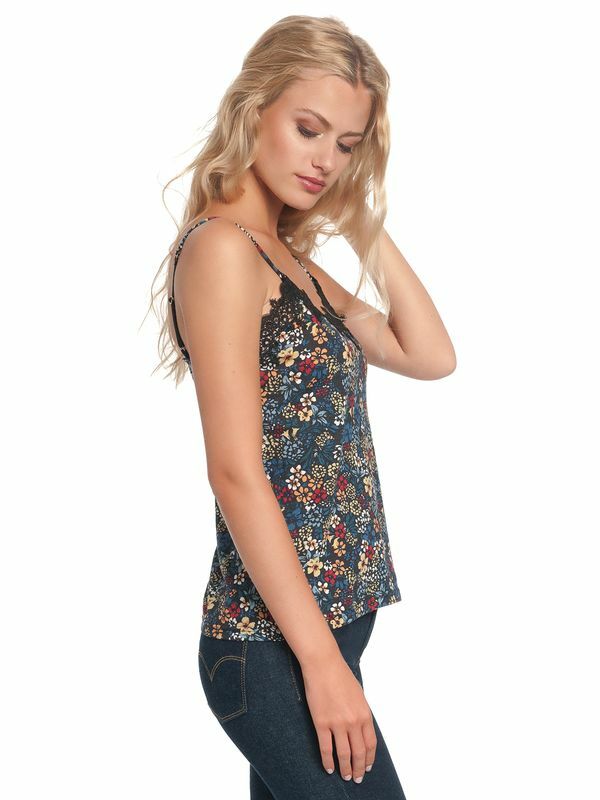 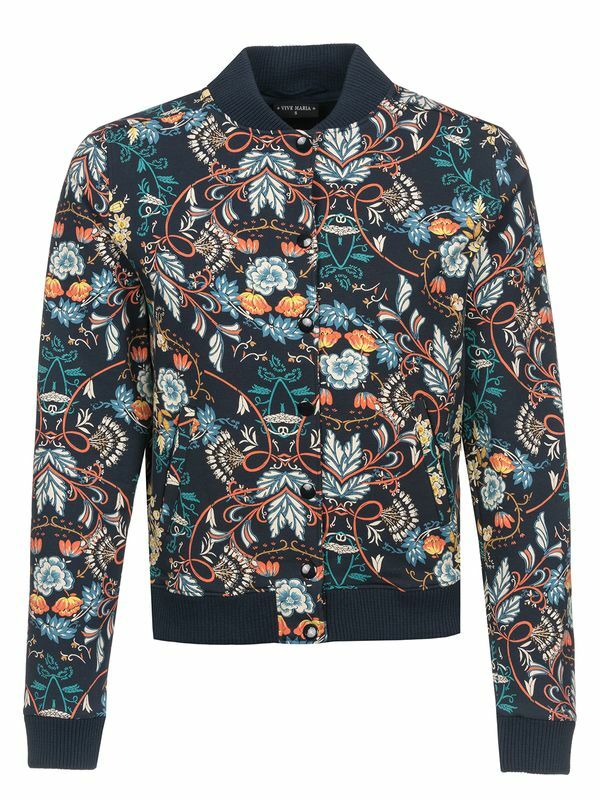 It has a tight cut, and short, slightly puffed sleeves. 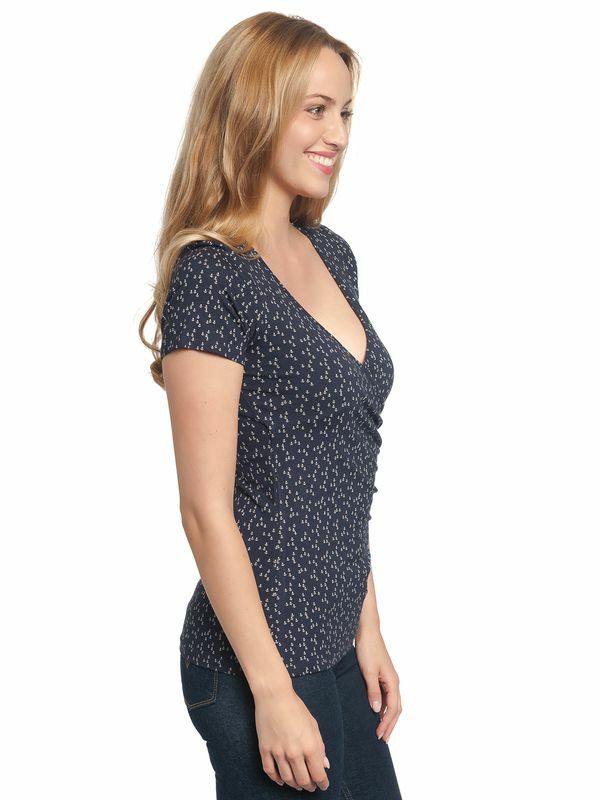 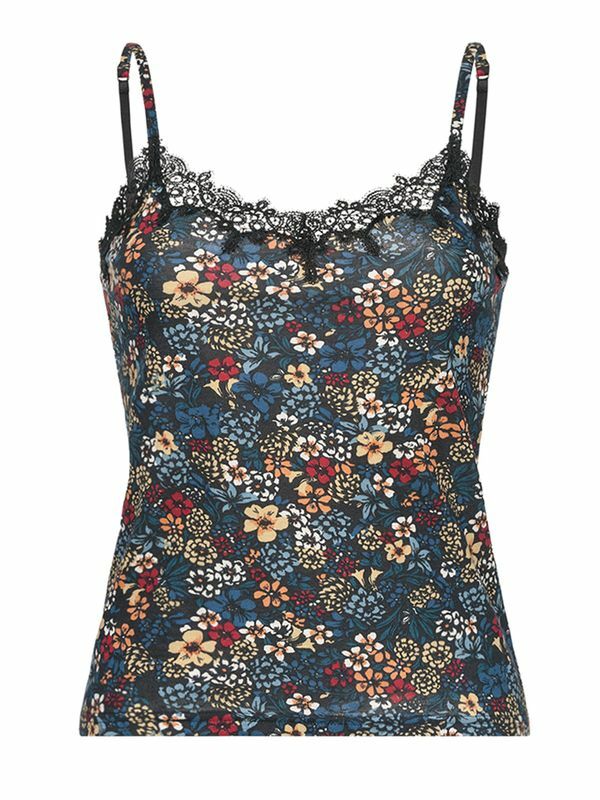 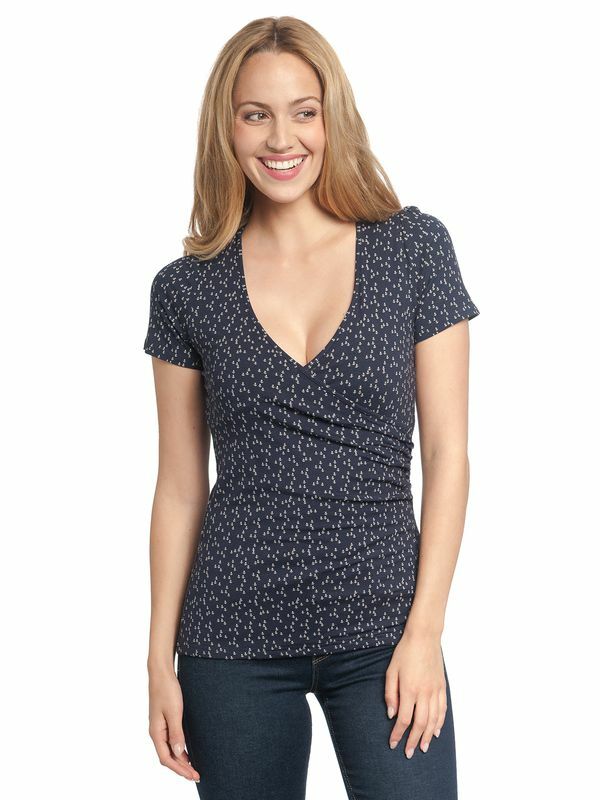 The round neckline has a cheeky little peephole with a little button. 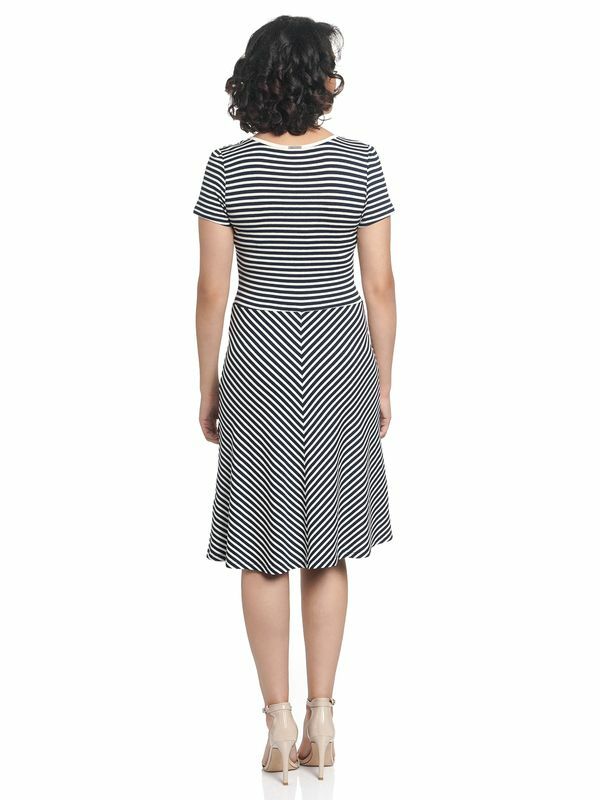 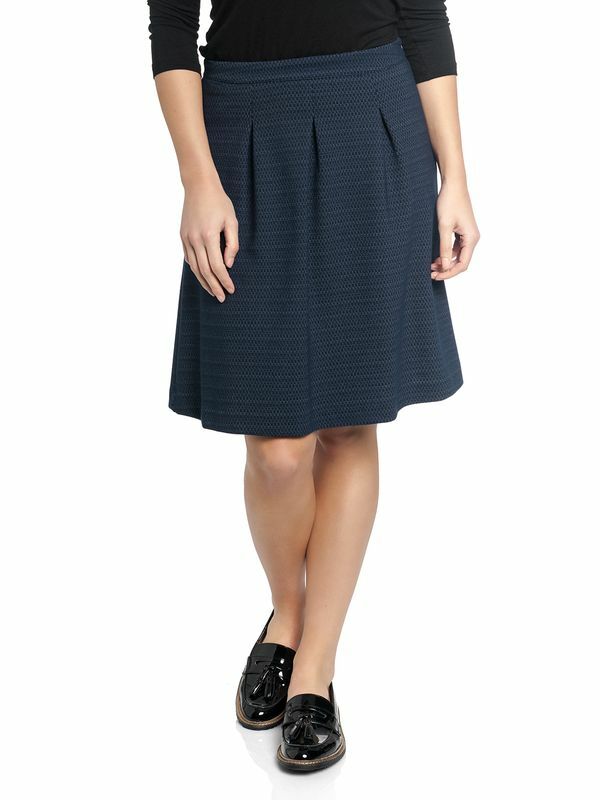 An integrated belt divides the top part from the skirt. 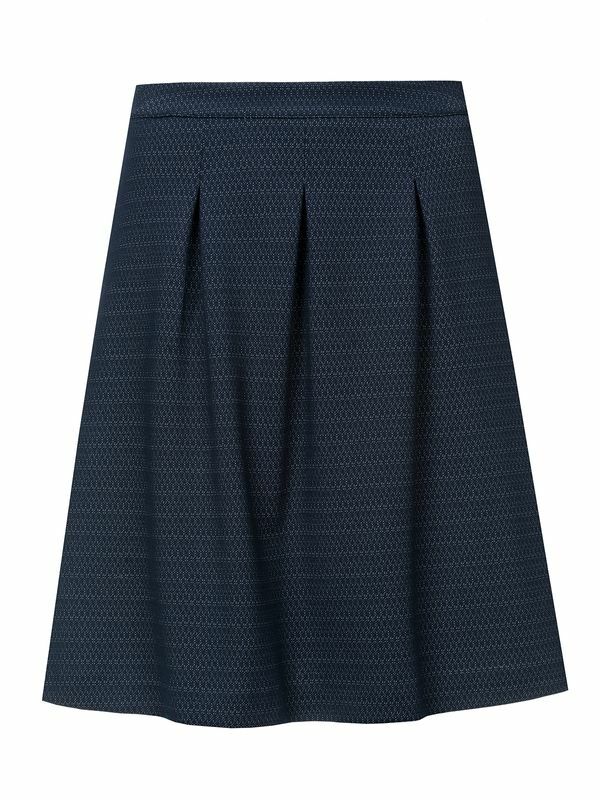 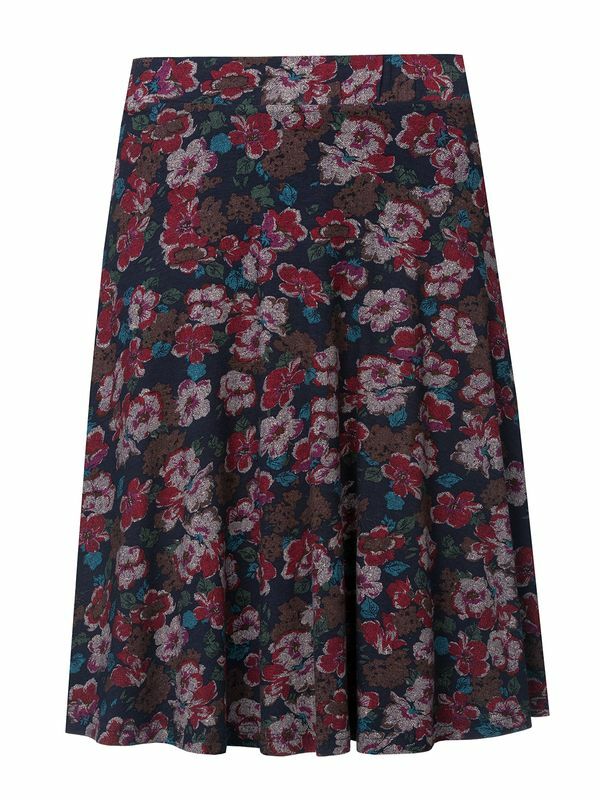 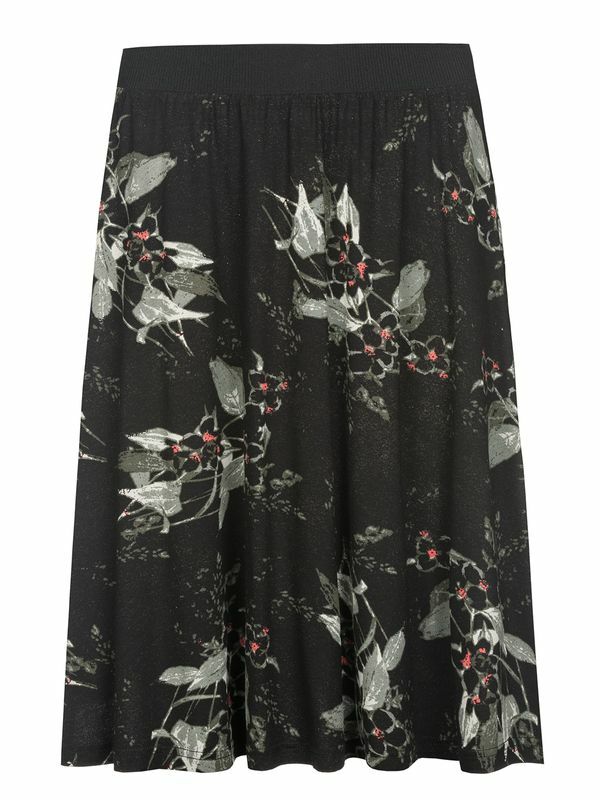 The skirt is slightly flared and swings playfully around the legs. 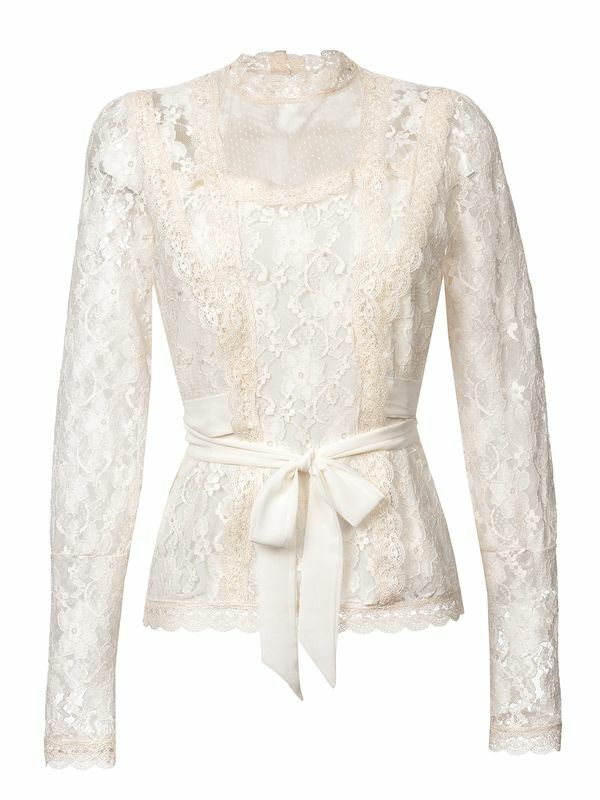 An adorable dress that radiates a lot of femininity. 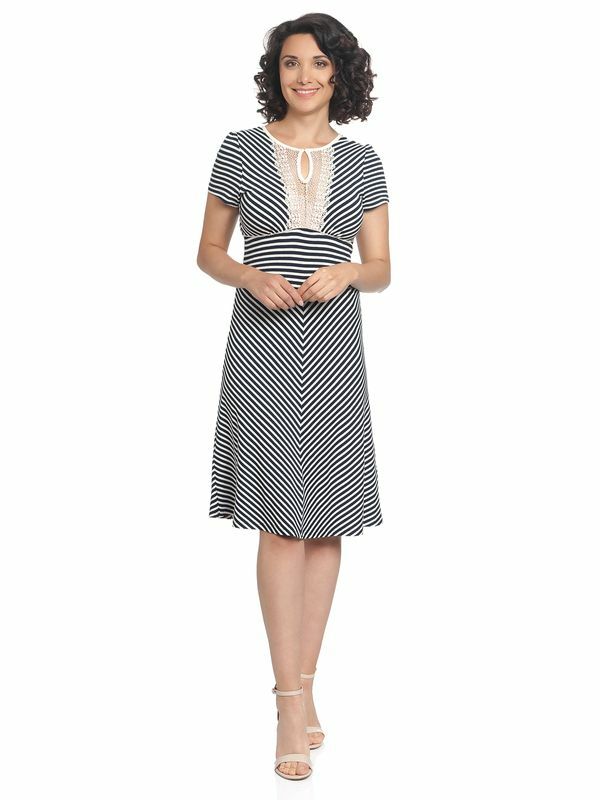 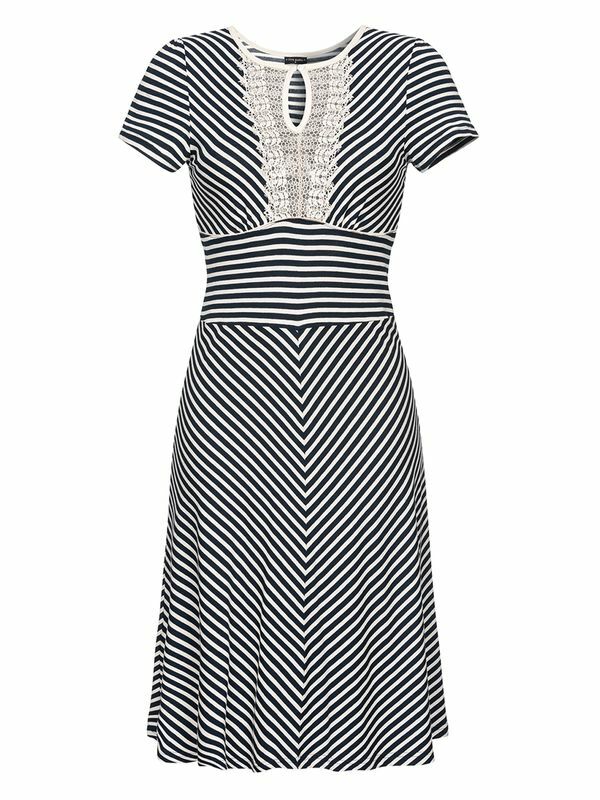 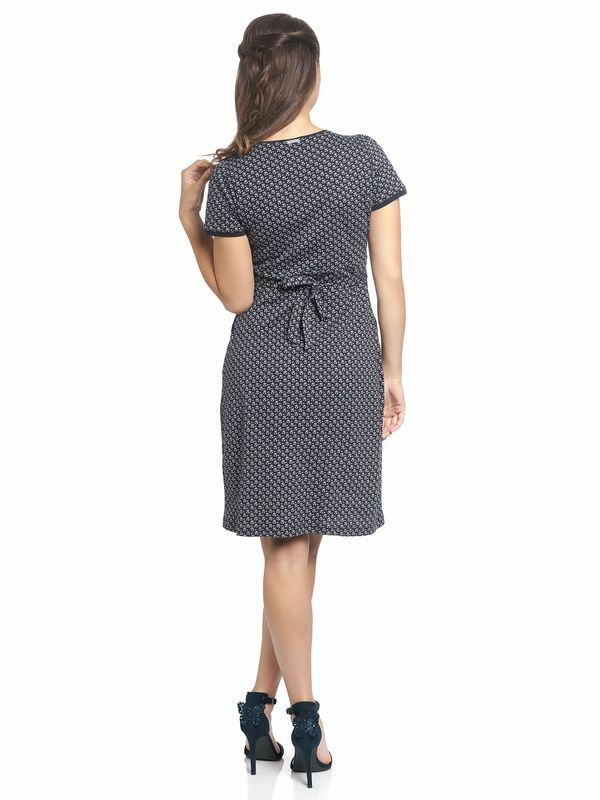 This dress will look great with creamcolored pumps or on colder days with black ankle boots and a blazer.